Hiking, fishing, biking, bird watching, and many more outdoor activities are just outside your "door" when you are camping at any of the numerous campsites around the San Luis Valley. 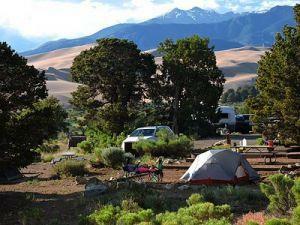 Camping opportunities abound in the San Luis Valley, ranging from primitive to full hookup, commercial campgrounds. 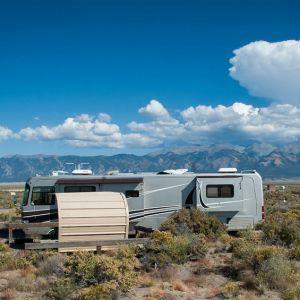 Choose from local gems like the Rio Grande National Forest, the Great Sand Dunes National Park, the San Luis Lakes State Park, or choose from one of the several commercial campground sites around Alamosa. Full hook-ups, dump station, open year round, showers, go cart course, pets welcome. Now with WI-FI and weekly/monthly rates! 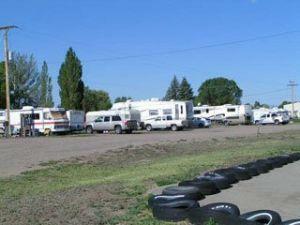 13 RV sites & 12 tent sites, Wi-Fi, pets allowed, showers and Rv Dump for guests.